If a yacht can be called a work of art then the designs of Piero Lissoni, who was appointed artistic director of Italian luxury shipbuilder Sanlorenzo last year, qualify him as a grand master. His custom yachts are breathtakingly beautiful from any angle, embodying a sophisticated aesthetic as exciting as any piece of installation art. The symbiotic relationship between luxury yachting and high-end art will be on display at this year’s Art Basel in Hong Kong, where Sanlorenzo Asia, represented by yacht sales, brokerage and service company Simpson Marine, will present a special Collector’s Lounge in partnership with Amanda Wei Gallery. Last year, for the company’s 60th anniversary, Sanlorenzo signed a global partnership agreement with Art Basel under which the shipyard will be the international art fair’s exclusive partner for three years, until 2020. The annual events occur in Basel in June and Miami Beach in December, with the Hong Kong edition returning for its seventh outing from March 29-31. The link between Sanlorenzo, art and design has its roots in the innovative vision of the firm’s CEO and chairman, Massimo Perotti. Over more than a decade he has built an ever-growing series of connections to the art world, which translates not only into each yacht being fitted with fine art from the owners’ personal collections, but also through collaborations with the world’s most prestigious art fairs. The shipbuilder’s creative approach has led to alliances with an array of cultural institutions and galleries, including Milan’s Triennale and the Venice Biennale, and with Galleria Tornabuoni Arte, for which Sanlorenzo hosted exhibitions on its own yachts during Art Basel in Miami Beach in 2016. Lissoni, who in addition to yacht design oversees the shipyard’s marketing and branding strategy, has done much to expand the firm’s artistic and design-inspired collaborations in the past year. For the Southeast Asia premiere of the 25-metre Sanlorenzo SL78 at last year’s Singapore Yacht Show, the art director arranged an exhibition on board the yacht showcasing six works by Singapore-based abstract expressionist painter Shih Yun Yeo. The new global partnership with Art Basel, with Sanlorenzo under the creative guidance of Lissoni hosting its own Collector’s Lounge in homage to a selected artist, kicked off at Art Basel in Basel last year. There, the shipbuilder presented an extraordinary installation, designed by Lissoni, that paid tribute to one of the most prestigious names of the Italian art scene, conceptual artist and painter Emilio Isgrò, one of the greatest innovators of the artistic language in post-World War II Italy. Lissoni further strengthened Sanlorenzo’s connection with the international art world at last year’s Miami Beach edition of Art Basel with an exhibition curated in collaboration with Galleria Tornabuoni Arte. Paying homage to one of the leading representatives of optical kinetic art—Italy’s Alberto Biasi—the luminous installation evolved and changed depending on the visitor’s point of view. Displayed in sequence in glass display cases along one side of the lounge were metal models from the Sanlorenzo superyacht line that reflected the visual patterns of the art piece, and, not least, the dynamic relationship between the shipbuilder and art. The next stop for Sanlorenzo and its ever-evolving partnership with the world of art and design will be Art Basel in Hong Kong this month. For the first time, Sanlorenzo Asia will host a special Collector’s Lounge at the city’s biggest annual art event, celebrating the works of Asian artist Alixe Fu, curated by Amanda Wei Gallery. 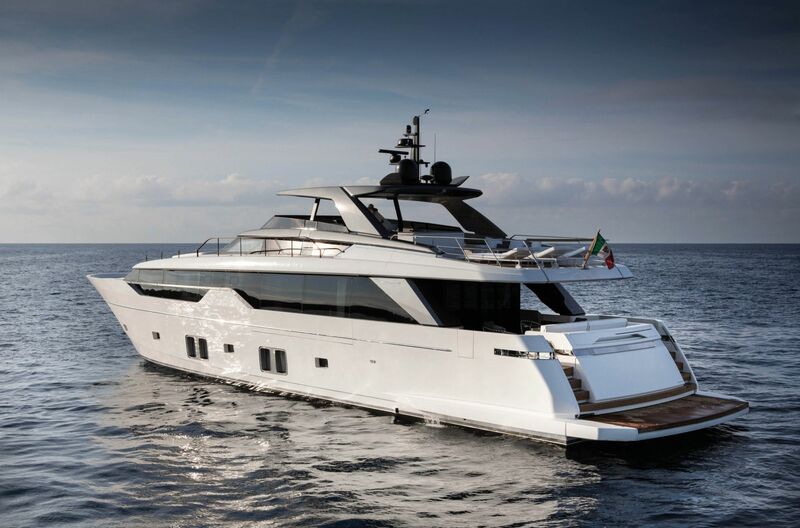 The Sanlorenzo management team, together with Lissoni, is expected to attend the event.